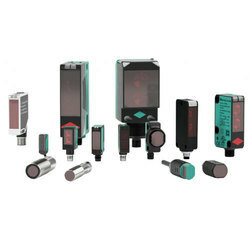 We are Supplier of Pepperl Fuchs Sensor, all Proximity Sensors-Inductive Sensors, Capacitive Sensors, Magnetic Field Sensors, Proximity Sensors Accessories, Photoelectric Sensors-Standard Photoelectric Sensors, Fiber Optic Sensors, Slot and Slot Grid Sensors, Contrast Sensors Color Sensors Light Grids, Distance Sensors, Optical Data Couplers, Special Sensors, Photoelectric Safety Sensors, Sensors for Automated Accesses and Entrances, Photoelectric Sensor Accessories, Ultrasonic Sensors -Thru-Beam Sensors, Diffuse and Retro reflective, Mode Sensors, Double Sheet Sensors, Ultrasonic Sensor Accessories, Rotary Encoder-Absolute Rotary Encoder, Incremental Rotary Encoders, Cable Pulls Rotary Encoder Accessories. 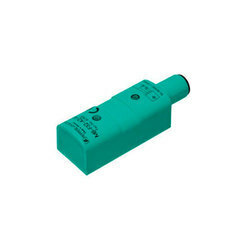 Pepperl Fuchs Ultrasonic Level Sensor. Fiber optic sensors provide a sensing solution for applications involving small targets or unfavorable conditions. Fiber optic sensors & cables can be used in much smaller areas, in harsher environments, at temperature extremes that ordinary photoelectric sensors could not withstand. 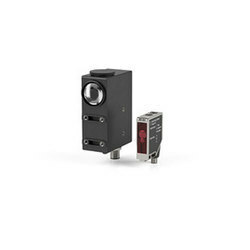 Fiber optic sensors come in a variety of sizes and shapes ranging from small DIN-rail mountable units to 18mm cylindrical housings to full-size limit switch housings. 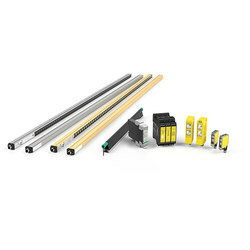 The sensors are available with numerous outputs, digital displays and a wide assortment of cables to choose from. 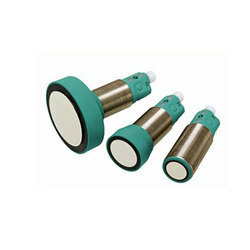 Inductive Pepperl Fuchs Inductive Proximity Sensors are the preferred choice for the majority of applications requiring accurate, non-contact detection of metallic objects in machinery or automation equipment. As a pioneer and market leader, Pepperl+Fuchs offers innovative, high quality inductive sensors to meet the needs of the worldwide automation and process control markets. Our experience, flexibility and customer focus continues to allow us to offer custom designed solutions for the most unique and demanding applications. Like inductive sensors, Pepperl Fuchs Capacitive Proximity Sensors function without physical contact with the target material. 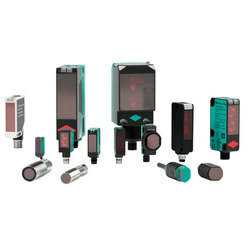 Capacitive sensors allow for the detection of both, conductive and non-conductive materials, but are most commonly used for sensing materials such as plastics, liquids, powders and granular materials. These capacitive sensor products offer an alternative technology for use in applications where the use of inductive sensors may not be possible. Our Pepperl Fuchs Proximity Magnetic Field Sensors selection consists of the M12 housing style for traditional magnetic detection applications. 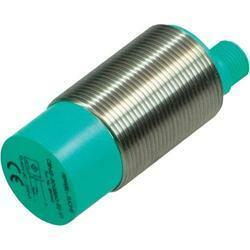 Also offered is a non-contact, piston detection sensor for use with steel hydraulic cylinders. 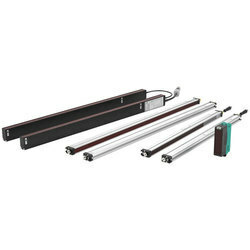 These magnetic sensors offer reliable piston magnet detection and are easily mounted, without the need for mounting slots or holes in the cylinder. 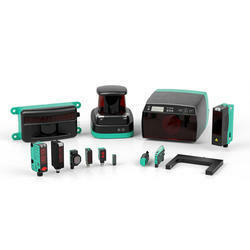 Our broad range of Pepperl Fuchs Photoelectric Sensors is aimed at all automation solutions where noncontact object detection can be utilized. The wide variety of different operating principles, models, sizes and specifications means that the best possible sensor can always be found for the relevant application and all conditions that occur in practice can be met. 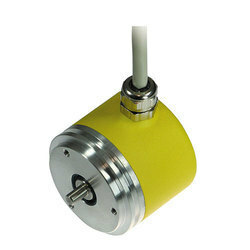 Absolute rotary Pepperl Fuchs Absolute Rotary Encoder are ideal in any application where precise and delicate control of movement is required. These encoders are at the heart of this action. They provide excellent resolution. They stand out for their robust technologies that deliver reliable information even in demanding operating conditions. 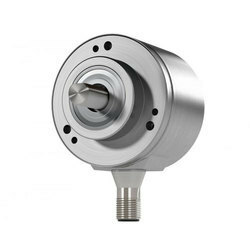 Absolute rotary encoders are available with both magnetic and opto electronic scanning and are suitable for a wide range of applications. Incremental rotary Pepperl Fuchs Incremental Rotary Encoders form the bridge between mechanics and electronics. They detect rotation angles and output a signal pulse so the speed or position of the rotating part can be determined. The task is to deliver exactly those signals that permit automatic control of rotation sequences. Pepperl+Fuchs provides a full range of rotary encoders to cover a wide range of applications for a variety of industries. 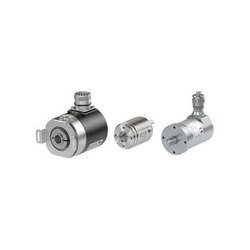 Bearing-free rotary Pepperl Fuchs Bearing-Free Rotary Encoders are known for their compact design and combine a robust measuring system with intelligent assistance functions. Non contact detection leads to a much longer sensor life and provides the best conditions for reliable continuous operation, even in dusty or dirty environments. 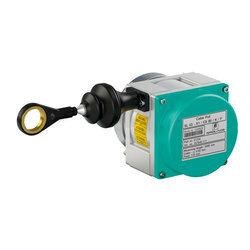 Some applications have Pepperl Fuchs Heavy-Duty Rotary Encoders requirements. For example, outdoor processing plants that are constantly exposed to changing weather conditions, or construction machinery that is operated in dusty, dirty environments. Heavy-duty rotary encoders from Pepperl+Fuchs combine precise functionality with long-lasting durability. 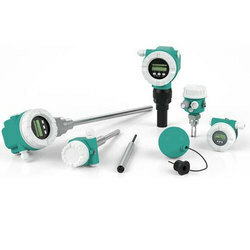 Today, level Pepperl Fuchs Photoelectric Sensors technology is the basis for management and process control in the chemical, petrochemical, environmental and other related industries. Wind turbines or gantry systems out at sea are exposed to wind and weather conditions unlike those experienced by any other type of technical equipment. In this environment, rotational motion must be accurately captured and controlled. Special rotary encoders for offshore applications from Pepperl+Fuchs help align wind turbines, adjust rotor blades, and monitor rotations. 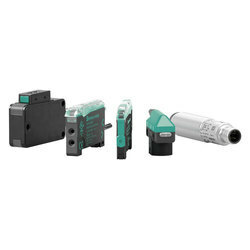 In P&F Thru-Beam Photoelectric Sensors sensing, also known as opposed mode, the transmitter and emitter are in separate housings. Light emitted from the transmitter is aimed directly at the receiver. When an object breaks the beam of light between the emitter and receiver, the receiver’s output changes state. Through-beam sensing is the most efficient sensing mode which results in the longest sensing ranges and highest excess gain. This high gain enables through-beam sensors to be reliably used in foggy, dusty and dirty environments.